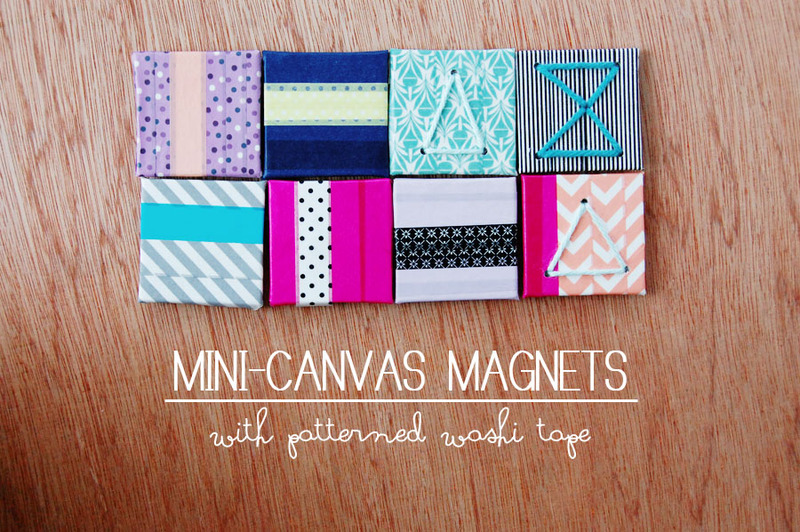 So as you may remember from my Washi Tape Mini Album, I am currently obsessed with washi tape. Who can blame me? This stuff is so cool. I made these magnets as one my latest projects for ThinkCrafts, a blog for the craft supply store Create For Less. They came together super quickly and are so much fun. I LOVE having them on my previously boring fridge. There are just so many colors and patterns! Check out the full tutorial here and say hello from Mon Makes Things! And don't forget -- I've got a giveaway from Diamond Candles going on right now! The giveaway ends tomorrow (Thursday, 9/12) at midnight EST. Enter to win a huge, all natural soy candle with a ring inside that could be worth up to $5k! 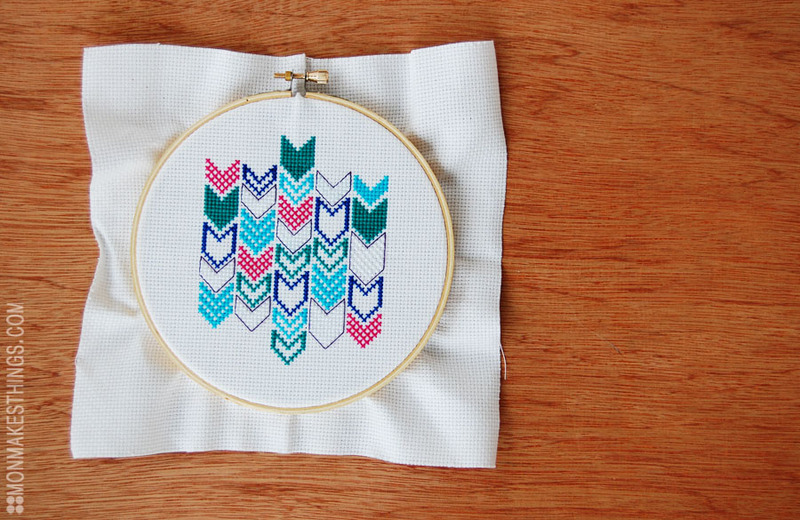 When I joined Kollabora, my fav new online DIY community, I started seeing all kinds of rad embroidery and cross stitch projects. I wrote a little bit about my history with cross stitch here, but it is probably the first craft skill I remember my mom teaching me when I was little. 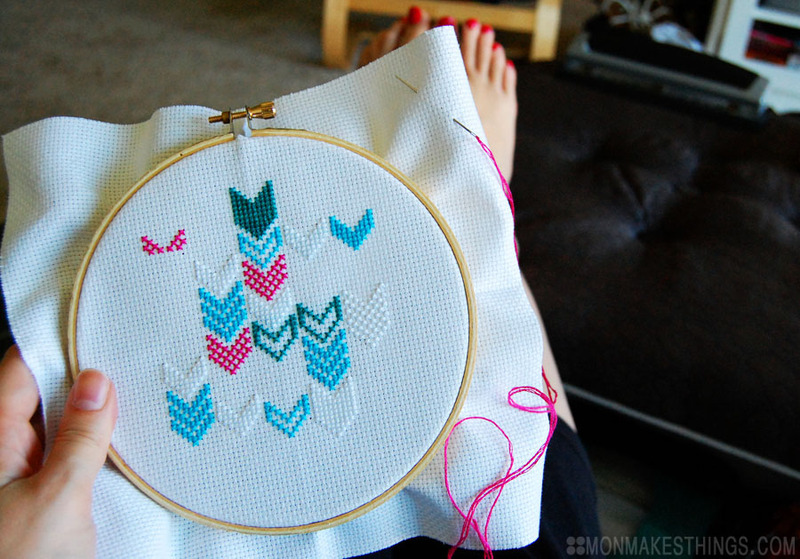 I remember cross stitching some Looney Toons pattern as my first project, ha! I used white as one of my colors, underestimating how much it WOULDN'T show on the fabric. Silly me. You can see them in the "work in progress" photo above if you look, but they really weren't visible from afar. 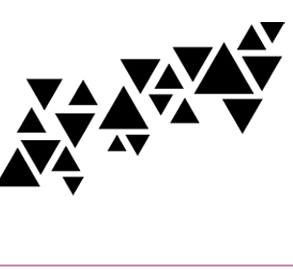 So I outlined the white arrows in a single strand of dark purple. I would have used black, but couldn't find my black thread. For everything else, I used a 6" hoop, 14 count aida cloth, and 3 strands of embroidery floss. The whole stitching process is so relaxing. It seems like something that could be tedious and repetitive and boring, but it's almost mesmerizing once you get into a groove. I love the texture of each stitch, the pull of the floss through the canvas, and the use of the grid. Now I just need to learn how to finish or "frame up" this piece and get it on the wall! 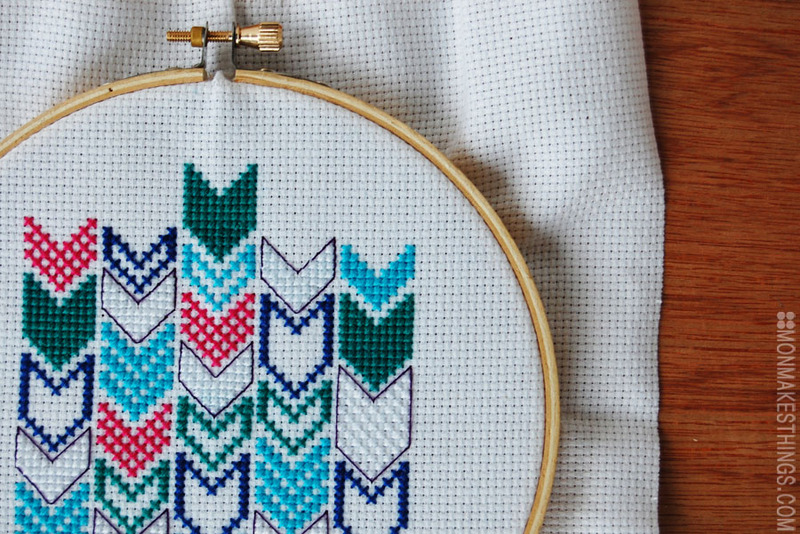 Have you done any cross stitch projects? 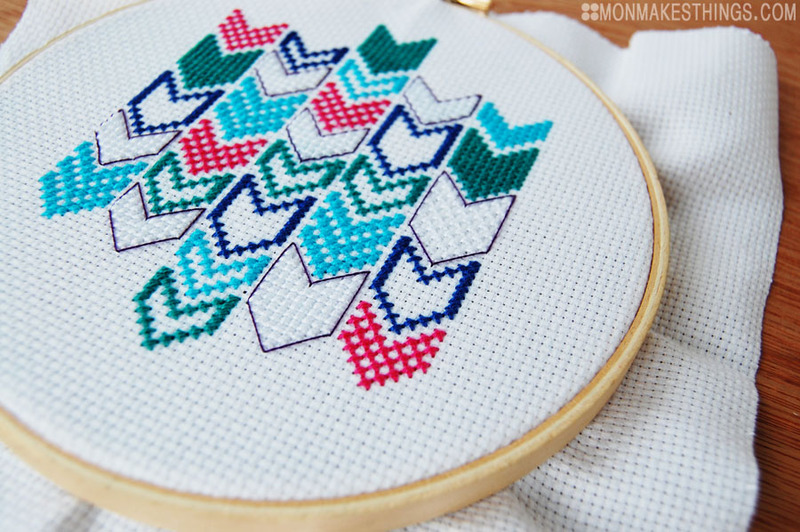 What do you think of this modern pattern for an old fashioned craft? 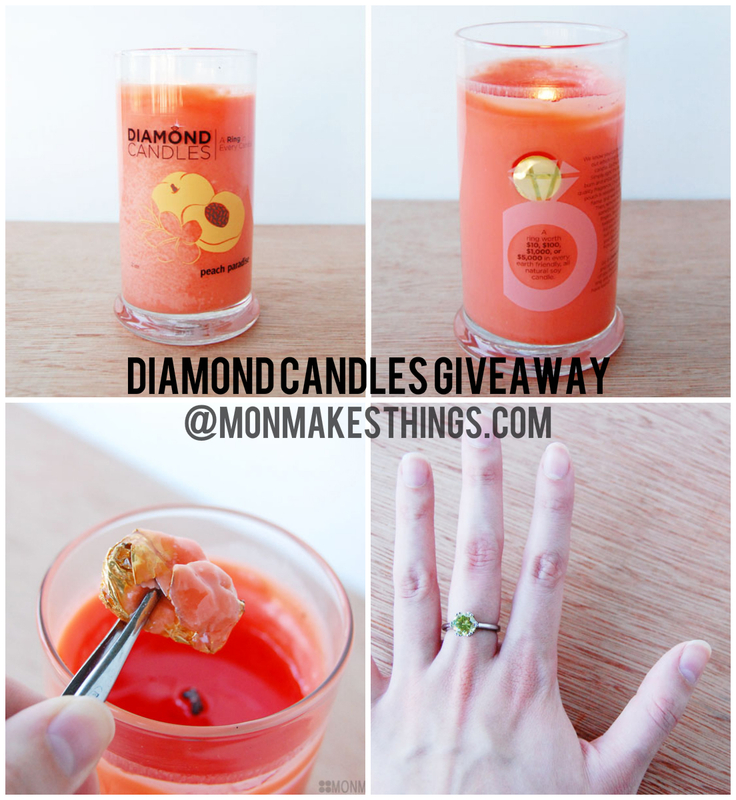 Don't forget to enter to win your own Diamond Candle with a ring inside! Help make it look like my blog has readers! ;) Enter here! 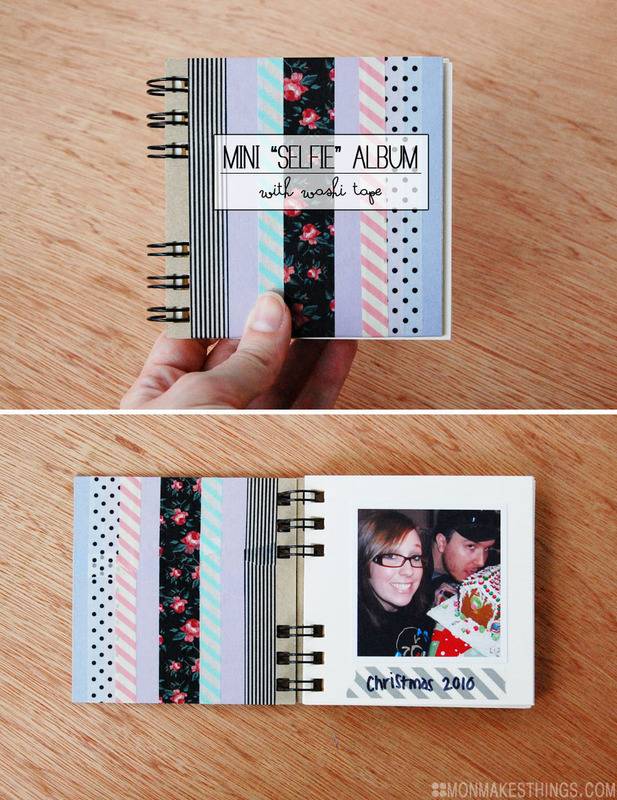 Start by counting your pages and printing photos to the size you need. 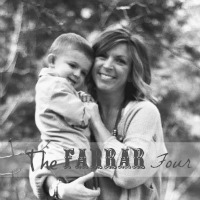 My album was 4.25"x4.25", so I printed my photos as 3" squares with a white border around them. 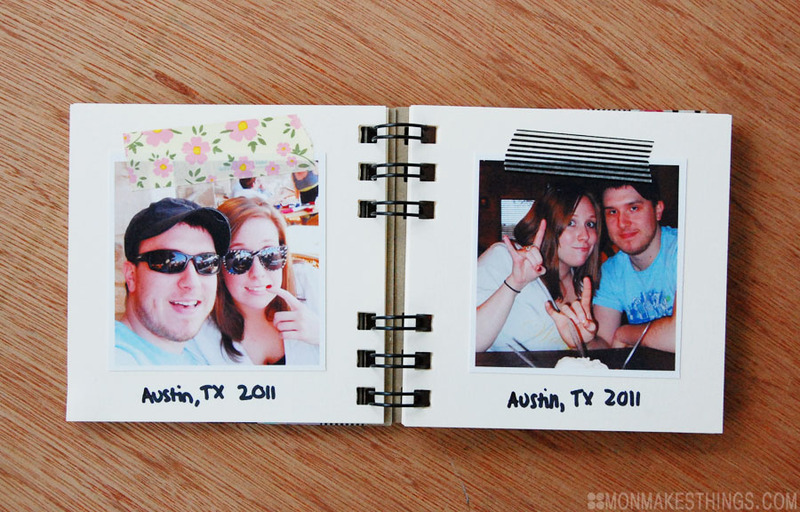 Let the ink dry and cut out your photos. 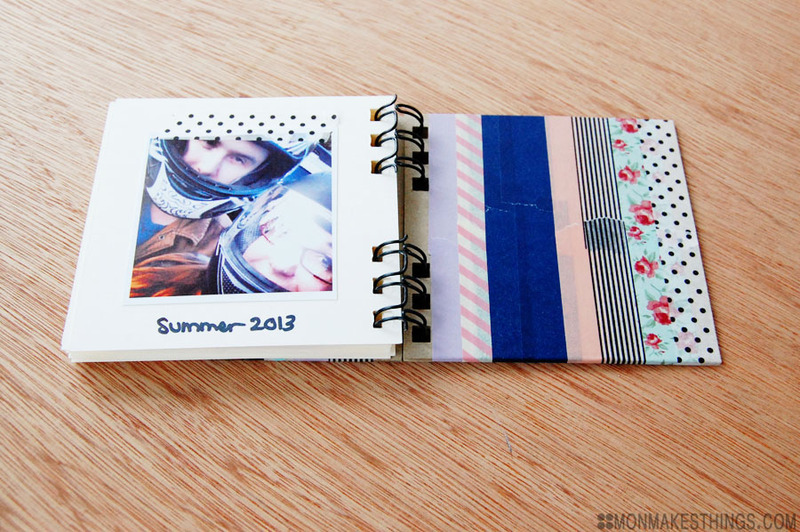 While your photos are drying, decorate the album front and back with patterned and solid washi tape. 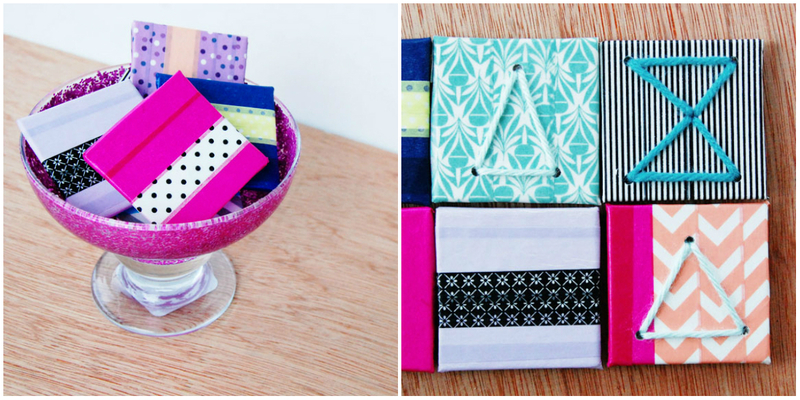 Try to use colors that go together, and break up lots of pattern with a few solid color washi tapes. That said, don't be afraid to layer patterns that work! A small polka dot over a floral print, for example. Put tapes all the way to the very edge of the covers and overlap the tape ends on the inside (you can see this above). 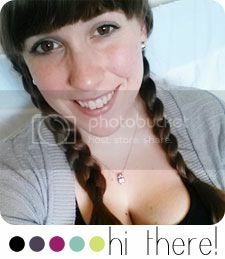 I filled my album with "selfies" of me and my boyfriend! All I wrote in the album was the year and event or occasion that corresponded to each photo -- nice and simple! 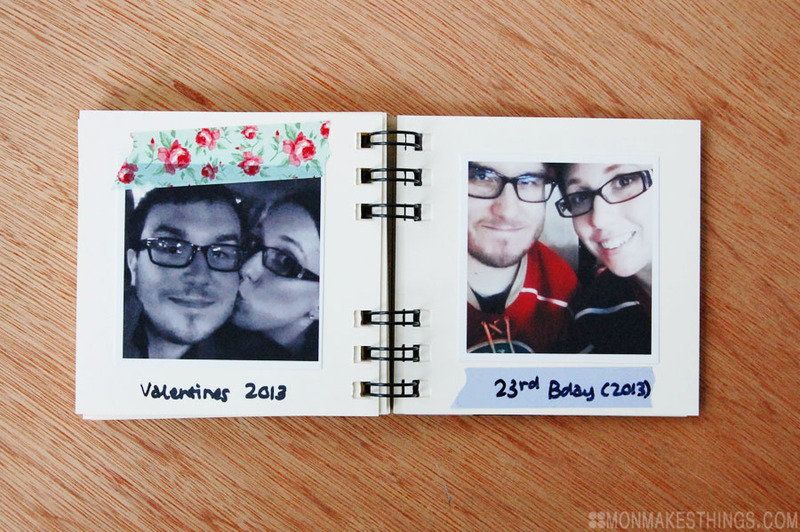 Stick your photos down using a tape runner, add a strip of washi tape, and write whatever you'd like! You can see above that I did the washi tape/text in two different ways. 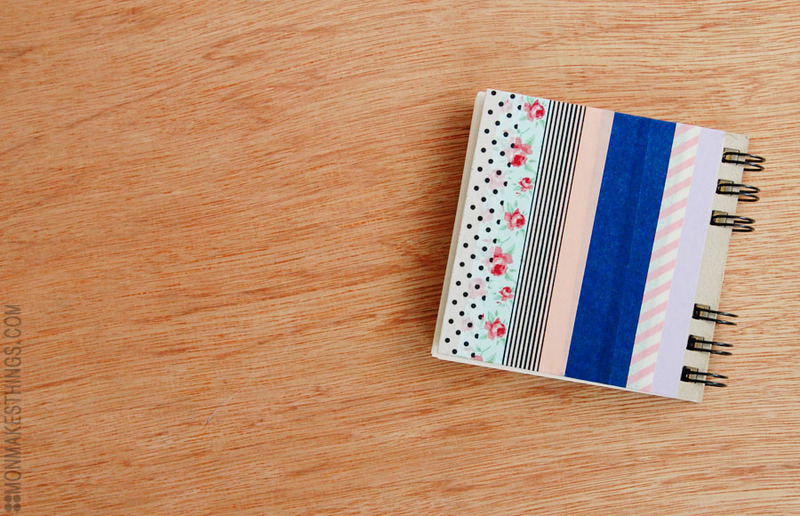 Mostly depending on the pattern of the washi tape, I either stuck the washi tape on top of the photo, or underneath it. Slap this together for your own coffee table or for a sweet and thoughtful gift! Are you a scrapbooker? How do you like to use your photos in your home? P.S. - Don't forget to enter my first ever giveaway here! You could win a huge soy candle in whatever scent you like, with a ring inside that could be worth up to $5k!